So, apparently the name "Fantastic Worlds" has been patented by Universal for Theme Park use. 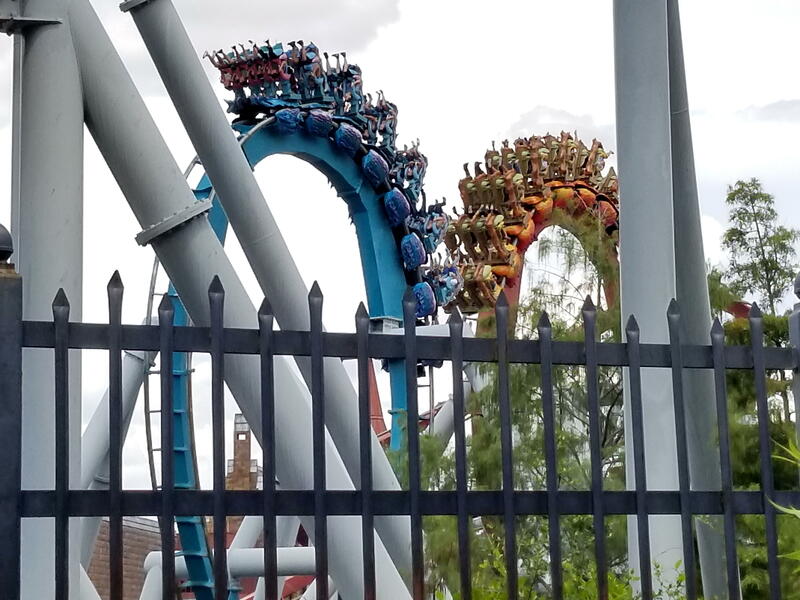 Could that be the name for a fourth Universal gate at Orlando? And if so, what do you think of the name? I'll go first: I love. It makes total sense, being that creating "worlds" in the parks instead of just lands based on brands is the new order in theme park business. Not to mention that the name alludes to Fantastic Beasts, something that Universal might want to explore on this new park. I think it goes well with Islands of Advenure. I guess we will find out when it opens in 2023. NBC/Universal CEO Steve Burke on a conference call for investors: "In terms of a new gate in Florida, we are looking at it, we filed a name registration and we have a lot of great IP and we love the theme park business, it’s one of our best and most consistent business and we think we have a very long runway. We think another gate in Florida would have the advantage of turning Florida from a two or three day destination to potentially a week long destination. We think that would be attractive." The way Lockeed Martin are expanding their Sand Lake site (they are looking for 600 new people at the moment) makes you wonder if they'd try and stop a new Universal park, as it will be basically in their back yard. Although all the construction going on along Sand Lake/JYP does suggest something big is being planned for in the future. With the LM exit onto Universal making the area more like a parking lot when the employees are leaving work, it makes me wonder if the entrance to the new park will be off Sand Lake ... hence the huge upheaval that's taking place ?? Either way, I'm excited about the possibilities. Mario coming to the parks, Dreamworks, the possibility of LoTR... Can't wait for more news (though seems like it might take a little longer for Universal to actually announce something new). Universal Epic is another possible name, as they registered that too. LukeFouyer: "Could that be the name for a fourth Universal gate at Orlando?" I Respond: It could be ... But it's gonna be a good four years to find out the name and whether the content will be enough to keep pace with WDW's six gates and the rapidly growing DSTP.